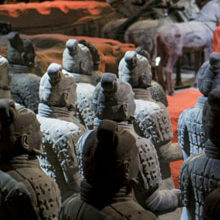 The Terracotta Army was a priceless set of terracotta sculptures created in honour of Emperor Qin Shi Huangdi and his army in 209 BC. Thousands of years later, these sculptures were discovered quite by accident, in 1974. 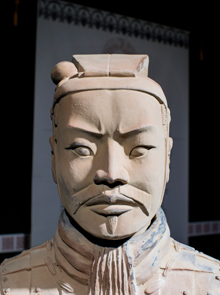 Now, for the first time, the most complete reproduction of these artworks is coming to South Africa in the Terracotta Army Exhibition. More than 300 objects will be on display in cities throughout the country, offering a fascinating insight into Ancient China and its cultural ideals. The show is an unmissable slice of history, featuring painstaking recreations of bronze chariots, kneeling archers, bronze armour, horse and cavalrymen and, of course, the general himself. In addition to these timepieces, visitors can gawk at the First Emperor’s tomb, recreated in stunning detail, and listen to factual audio guides as Ancient China is brought to life.